Helen Johnson is a part-time agent for British Intelligence. She would never have considered herself as such, of course. She saw herself first and only as an actress. Not that she had ever made it to the big time or likely would. That opportunity, if it ever could have come, fleeted away when she married John many years before. And even that marriage had left her some time back so she was just an actress on a small stage, getting by. 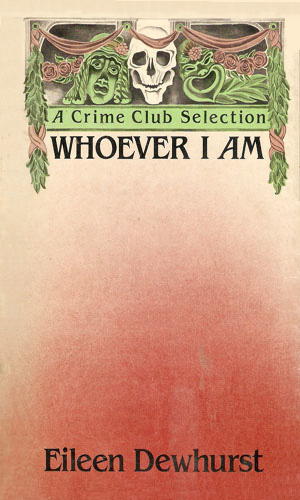 As the two-book series begins, her name is Mrs. Helen Markham, now divorced from her husband of twelve years, John. He had moved on in his life and chose not to take her so she lived in a small flat and occupied her time acting in small productions in little theaters far from the West End. Nearing middle age and able to play women of virtually any age, her specialty is makeup with the skill needed to transform herself into a role so completely as to be nearly impossible to spot. She comments to a colleague that she seemed to uncommonly capable of playing the weak-minded and elderly, such thoughts coming with a bit of chagrin. Because her life off the stage is so unhappy and the one on it so fleeting, she took the offer to work as an actress for the British Intelligence more seriously than she would have imagined. The job gave her a chance to be alive again. Both adventures start with Johnson being a civilian looking for something different to do. In the first she, in her mid 30’s, was only just realizing her life as “John’s chattel” were truly over and she needed something new. The danger forced her to feel alive again. Helen is hired by British Intelligence to impersonate a mentally challenged patient to infiltrate Hill House Nursing Home and discover who is the enemy agent hiding there. While still happy being married to an Intelligence agent, Johnson decides to add excitement by hiring herself out for roles of an unusual nature, resulting in more adventure than she expected. The writing of this two-book series is quite good. The characters are fully described, the settings totally understandable, the atmosphere very real. When I first read this short series, I was more confused than amused by it. That was my fault. A few years later I forced myself to try again and I discovered that I quite liked it. The first book is still a bit hard to follow but the second is an absolute delight. 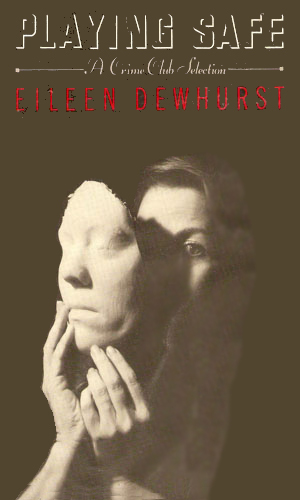 I really wish Ms. Dewhurst had continued with impersonation business that Helen Johnson started. It was a really unique service and it had such great potential, not for a spy series, but for a terrific mystery/adventure series. The grade for this series is low because it is far more of a mystery than a spy series. If it had been graded for the former, it would have gotten much higher.